and reverse the oceans’ losses from industrial fishing. The island nation of Palau may be small — 177 square miles, to be exact — but it is not afraid of making big unprecedented moves when it comes to its fish. In February, the Micronesian country banned all commercial fishing in its waters, a major first for marine sanctuaries. The resulting protected area is about the size of France, and encompasses some of the more pristine oceans in the world. The only problem: How to fund it? You probably know that marine protected areas are great, but they cost a lot of money up front. And when Palau President Remengesau announced the reserve, the country had exactly one boat with which to patrol the 230,000 square-mile-wide swath of sea. So the Palauans did what all spunky and cash-strapped creators are doing these days — they started a crowdfunding campaign. The Indiegogo project, dubbed “Stand with Palau,” was launched in July and wrapped up this month, having exceeded its goal of $100,000 with some 583 total donors pitching in. The money will be spent on more boats, monitoring drones and buoys, and the staff to run them. 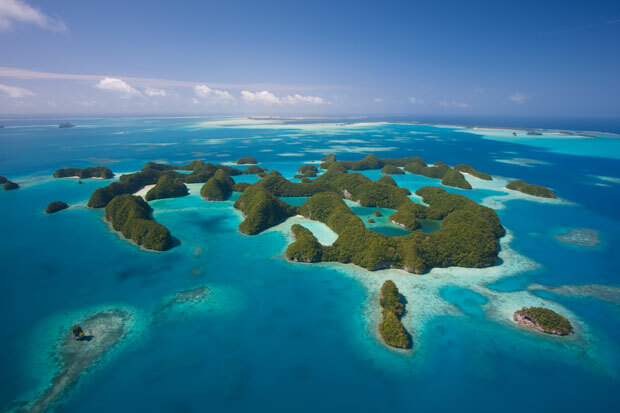 “This is the first time a nation-state has started a marine conservation crowdfunding campaign,” says Daniel Kachelriess, the outreach coordinator for Stand with Palau. “The money raised through the campaign will directly support the implementation of the [Palau] National Marine Sanctuary. It is really about fleshing out the next steps — especially in regard to data collection, monitoring and enforcement framework — and making sure the marine sanctuary is implemented in a way that is on the medium term economically and environmentally sustainable,” he says. Who knows if this is a viable funding option for other aspiring marine sanctuaries. It might be the Potato Salad of crowdfunded conservation projects — a unrepeatable miracle. Or it might be that the day is near when, in addition to funding indie documentaries and slick eco-gadgets, you can back Yellowstone’s new kickstarter initiative and get that sick grizzly poster as a bonus. If nothing else, Palau just proved that, under the right conditions, private citizens can scrape together some serious cash for the cause. 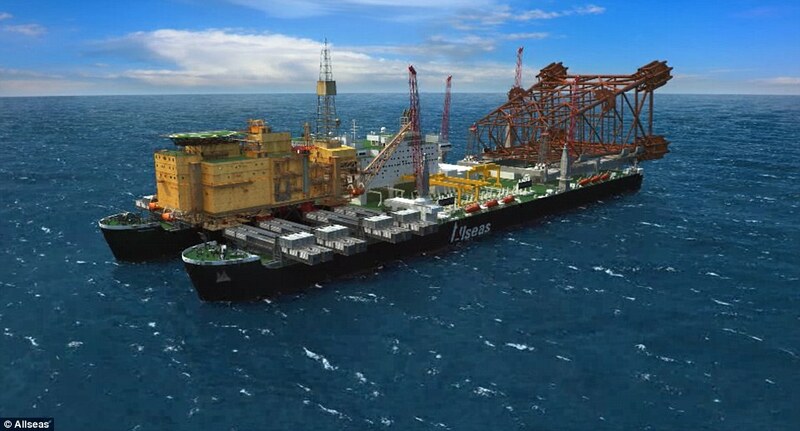 Ships, oil platforms and offshore wind farms are threatened by rough seas. Information provided by radar satellites can support the detection and forecast of extreme wave heights. During the first week of the satellite’s operational data supply, experts from the Technical University of Denmark and the Danish Meteorological Institute working under the Horizon 2020 MyOcean Follow-On project used the data to alert vessels on marine ice conditions. 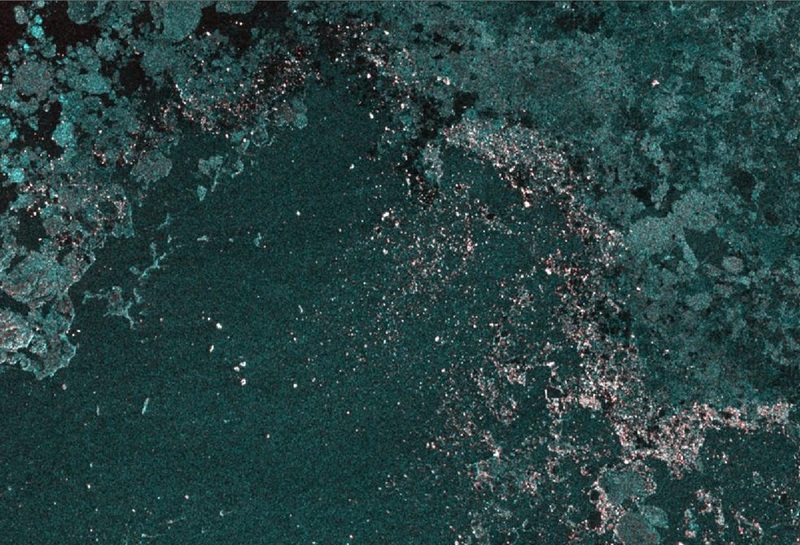 Sentinel-1 delivers radar imagery for numerous applications. Images acquired over the ocean are essential for generating timely maps of sea ice for safe passage as well as for detecting and tracking oil spills. The mission also offers key information on wind and waves in the open sea for shipping and wave-energy applications. Images acquired systematically over land mean that ground movement barely noticeable in everyday life can be detected and closely monitored. Moreover, Sentinel-1 is designed specifically to provide images for rapid response to disasters such as floods and earthquakes. The series of MyOcean projects is the pre-operational precursor of the Copernicus Marine Environment Monitoring Service, to be implemented by the European Commission. Its primary objective is to provide forecasts of the global marine environment and the near-realtime observation data necessary for forecast models. Since Sentinel-1A data started to become free and accessible earlier this month with the satellite entering into its operational phase, the Danish Meteorological Institute began to use the information to improve observations of the polar regions and forecast maritime conditions. The data are being used to produce ice charts, showing the details of ice conditions in a variety of regions, including the warnings of icebergs drifting in shipping routes. This mosaic of Sentinel-1A data from 10 October 2014 shows ice drift vectors derived from Sentinel-1A scenes acquired on 9 and 10 October (red), along with MyOcean ice drift forecasts for 10 October (yellow). The PolarView browser allows the visualisation of Copernicus marine core service MyOcean forecasts, as well as observational data from a large number of satellite data sources. 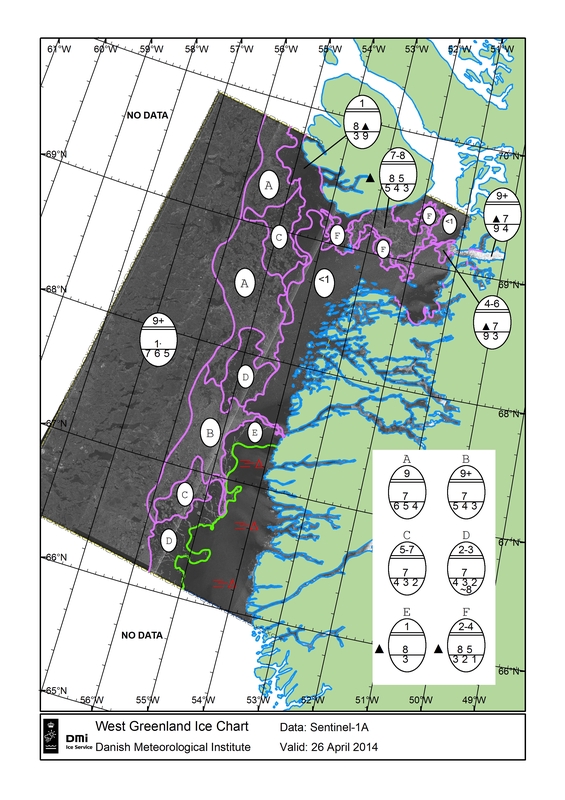 The first ice chart from Sentinel-1A was produced in demonstration mode in April just weeks after launch, demonstrating the satellite’s capabilities for ice mapping at an early stage. Now that the satellite is operational, the mission will gradually become the backbone to the regular ice charting of Greenland waters. The capability of Sentinel-1A to detect icebergs during all weather conditions is improving maritime safety. The satellite’s radar gathers information in either horizontal or vertical radar pulses, and colours can be assigned to the different types. In this image acquired near Greenland’s Jakobshavn Glacier on 26 April 2014, sea ice appearing blue-green can be distinguished from icebergs in pink. The radar on Sentinel-1 can see through clouds and in the dark, making it the perfect tool for monitoring polar regions that are prone to bad weather and long periods of darkness. 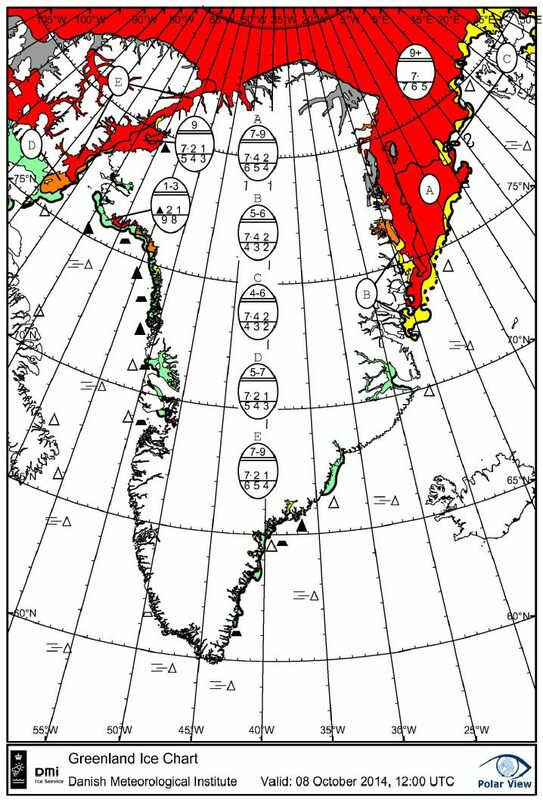 This image is an example of an ice chart from 8 October 2014, with red depicting sea ice cover. The radar can distinguish between the thinner, more navigable first-year ice and the hazardous, much thicker multiyear ice to help assure safe year-round navigation in ice-covered Arctic and subarctic zones. The mission also provides continuous sampling of the open ocean, offering information on wind and waves. This is useful for understanding interactions between waves and currents, forecast iceberg drift and improve efficiency for shipping. In addition, these observations can be used to track the paths of oil slicks and other pollution. Ice charts are the primary means of providing near-realtime ice information to mariners, and are traditionally drawn manually from satellite data. 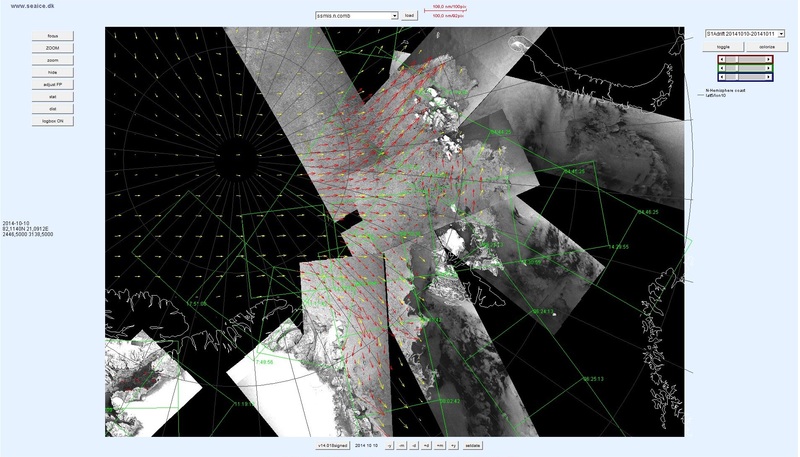 The first Sentinel-1A ice chart was drawn from an image acquired at 10:10 GMT on 26 April 2014. “There are a lot of expectations for Sentinel-1,” said Leif Toudal Pedersen, from the Danish Meteorological Institute. User-friendly, near-realtime access to Sentinel-1 data for marine users in polar regions is provided by PolarView and the DMI Centre for Ocean and Ice. The current MyOcean-Follow On H2020 project comprises 58 European public and private partners from 28 countries, and is led by Mercator Ocean. First-ever comprehensive review by Windward finds data relied on by finance, shipping and security sectors is increasingly manipulated and unreliable. This growing manipulation is possible because AIS (Automatic Identification System), originally designed to promote safety at sea, has no validation mechanisms to ensure that the information is accurate. In the first industry research report to document intentional data manipulation at sea, specialized data and analytics company, Windward, has found that ships worldwide are increasingly manipulating data to conceal their identity, location and destination, undermining the ability to track their activities. 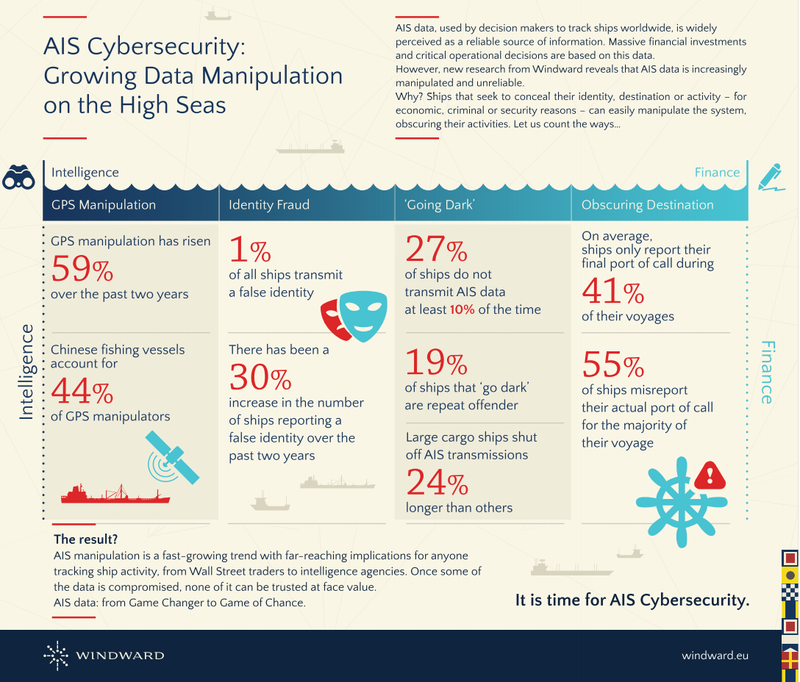 The report, “AIS Data on the High Seas: An Analysis of the Magnitude and Implications of Growing Data Manipulation at Sea,” finds that the widely-used Automatic Identification System (AIS) data is becoming unreliable, with far-reaching implications from Wall Street commodity traders to global security and intelligence agencies. The research identifies the top five methods of data manipulation, quantifies the magnitude of this fast-growing trend, and discusses the implications for decision makers. False Identities on the Rise: There has been a 30% increase in the number of ships reporting false identities over the past two years, with 1% of all ships currently reporting a false identity. Obscuring Destinations: Ships report their final port of call during only 41% of their voyages, on average, undermining commodity traders and others tracking global commodity flows and supply and demand dynamics. GPS Manipulation: There has been a 59% increase in the number of ships transmitting incorrect positioning information over the past two years, allowing ships to obscure their actual location. Chinese fishing vessels account for 44% of GPS manipulators. ‘Going Dark’: 27% of ships do not transmit data at least 10% of the time, and large cargo ships shut off their transmissions 24% longer than other ships. 19% of ships that ‘go dark’ are repeat offenders. AIS Spoofing: AIS can be spoofed, allowing interested parties to create ‘ghost ships’ where none exist. There are significant incentives – both criminal and financial – to conceal the real identities, locations or destinations of ships. This growing manipulation is possible because AIS, originally designed to promote safety at sea, mandates that ships transmit information, but has no validation mechanisms to ensure that the information is accurate. This off label use of AIS – for tracking ships vs. for safety – has resulted in a growing number of ships hiding their information. 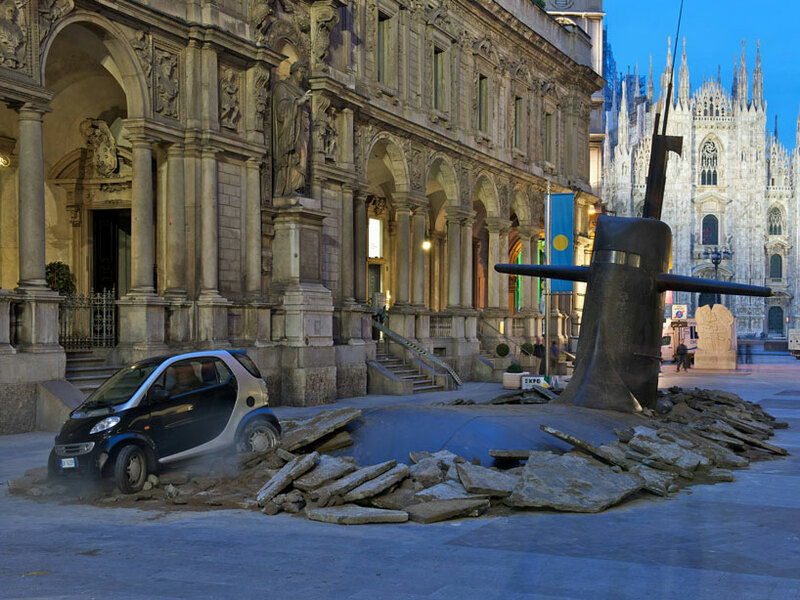 Off course: Spoof radio signals convinced an online ship tracking service that this fake craft had traveled on a path near Italy that spelled out the hacker term “pwned,” which describes a system that has been compromised by an attacker. “Global seaborne trade touches nearly every aspect of our lives, with 90% of the world’s trade and most of our commodities transported by sea. And yet, the oceans remain one of the last Wild West frontiers, as this report shows that the data available on what’s happening at sea is increasingly unreliable and manipulated,” said Ami Daniel, co-Founder and CEO of Windward. In the finance industry, taking AIS data at face value may result in a distorted view of commodity flows, a flawed understanding of supply and demand dynamics, and even impact trading models. These manipulations also undermine security and intelligence communities’ use of watch lists as ships change identities and erase their digital footprints. As ships grow aware that they are being watched via their AIS transmissions, Windward believes the incentive to manipulate will likely see a sharp increase. The Diplomat : Could Silicon Valley change the calculus in the South China Sea? Thanks to the way the UN defines coastal waters, small island nations control swaths of ocean that can greatly exceed their land area. 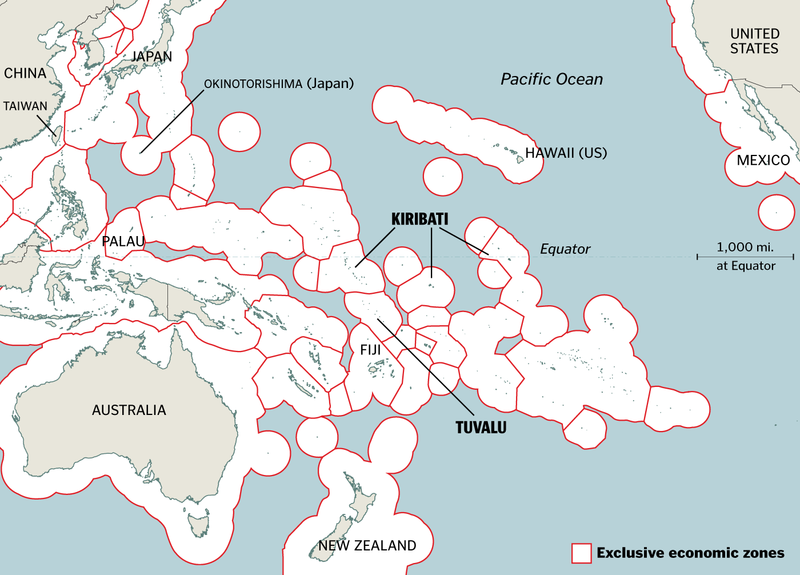 Above, a map of maritime boundaries, or “exclusive economic zones,” claimed in the Pacific, based on data published by the UN’s Food and Agriculture Organization. Some zones are disputed or shared. Over the past several years, it’s become clear that one of the starkest potential effects of climate change is the existential threat that rising oceans pose to the world’s low-lying island nations. The president of the Pacific atoll nation of Kiribati, which averages only about 2 meters above sea level, has already spent millions of dollars to buy land in Fiji as a potential new home for his 100,000 people. As sea levels rise, the Intergovernmental Panel on Climate Change suggests, large ocean waves will increasingly taint the country’s groundwater and threaten its agriculture; Kiribati can expect to become at least partly uninhabitable long before seas rise enough to submerge it. Other island nations like the Maldives and Tuvalu face the same plight. So far, the world’s attention has rightly focused on how much these places have to lose: their homes, their communities, their cultures, their vistas. But these countries have another, less visible set of assets at stake as they consider their survival—assets that won’t necessarily be lost, but which raise substantial questions. These are their large and valuable maritime zones. Kiribati, like other island nations, controls hundreds of thousands of square miles of the ocean that surrounds it. Kiribati’s land area is about that of Kansas City, while the ocean territory it controls is larger than India. Within these “exclusive economic zones,” to use the UN term, island nations possess the power to regulate, tax, or disallow any economic activity, including mining or drilling for oil. The tuna fishing alone in the domain of Pacific island nations is worth an estimated $4 billion a year. What will become of these gigantic ocean posessions when the tiny patches of land that anchor them disappear or become unlivable? The prospect is an unprecedented puzzle for the international community. But the question is more than a novelty: It may also be a chance to find a solution for the crises the islands face. A set of legal scholars from around the world has started to propose new ways to conceive of these ocean rights, so that if and when the islanders are forced to move, their economic domains might still survive as a national asset. Much hangs on how this question is settled: the islanders’ livelihoods, our oceans’ health, and, of course, the future of your spicy tuna hand roll. Marshall Islands President Christopher Loeak raised the height of a seawall around his home following tidal floods last year. He says it it is barely enough to protect his family from a "climate emergency." Island nations like Kiribati gained control over their surrounding oceans under the UN Law of the Sea, adopted in 1982, back when the prospect of a drowning nation seemed far-fetched. The law granted every country with a coastline economic domain over water 200 nautical miles (230 miles) off its shore, a descendant of the 17th-century “cannon-shot rule,” which gave nations authority over as much water as they could defend with coastal artillery. These substantial economic rights belong to inhabitable islands, but generally not to—to use the technical term—rocks. The UN has strict criteria to tell one from the other. If it doesn’t meet those criteria, it is a rock, and doesn’t merit territorial rights. Relabeling along these lines has happened in recent history—in 1997, a remote outpost of the United Kingdom called Rockall was downgraded from island to rock. In that case, 60,000 square nautical miles of ocean that belonged to the United Kingdom reverted to international waters, what the United Nations calls the “high seas,” where no single country has official jurisdiction. The United Kingdom had no problem giving up this little patch of ocean; it’s a wealthy country that possesses larger island territories elsewhere. When it comes to nations like Kiribati and Tuvalu, however, the patch of ocean largely is the country. Tuvalu’s ocean-to-land ratio is 34,600 to 1. It would be more accurate to think of them not as small island states with a claim on the ocean, but rather as gigantic ocean states with a patch of land in the middle. 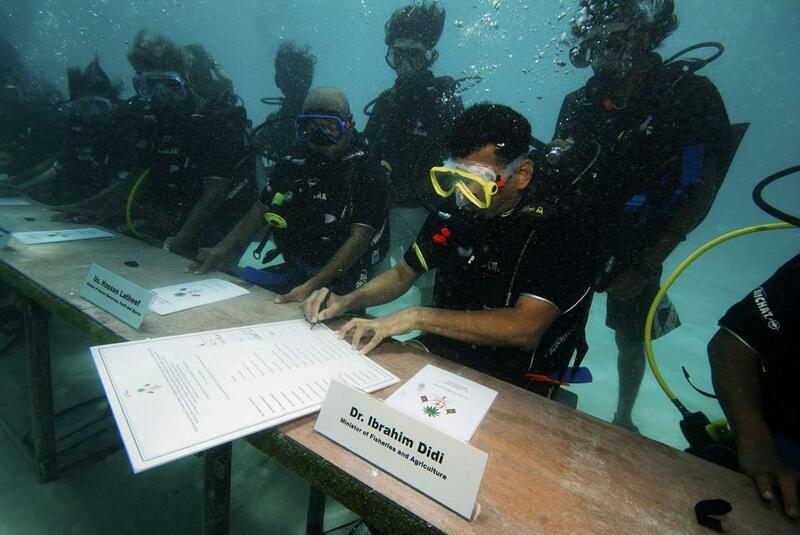 The president and ministers of the Maldives held the world's first underwater cabinet meeting in 2009 to highlight the threats of rising seas. In the decades to come, many low-lying nations will start to look more like uninhabitable rocks. Wave “over-wash” will degrade the fragile lens of fresh groundwater, leaving residents dependent on rain or imported bottled water. The warming ocean will result in degradation and bleaching of reef ecosystems that protect the islands from erosion. The elevating sea level—rising as much as a meter by 2100, according to last year’s IPCC report—may inundate the lowest-lying islands of archipelagos such as the Maldives (average elevation 1.6 meters), Tuvalu (1.83 meters), Kiribati (1.98 meters), and the Marshall Islands (2.13 meters). If these islands do become rocks, the question of their maritime holdings is more complex than that of Rockall. Unlike Rockall, they’re inhabited and have their own seats at the United Nations; they also draw a significant portion of their gross domestic product from those ocean rights. As long ago as 1990, a scattering of international law scholars began to imagine approaches to the problem, including ones that might even help threatened nations with their resettlement efforts. One early proposal from Fred Soons of the Utrecht University School of Law is a solution that is part physical and part legal. Soons assumes that the islands’ adaptation efforts will include man-made barriers, and perhaps in the long run, even more ambitious efforts that amount to artificial islets. In that case, he suggests broadening the legal definition of “naturally formed” islands to include such land-preservation efforts. Other legal scholars have focused on ways that the maritime territory can be preserved as a national asset even if the people leave. Several, including UC Berkeley School of Law’s David Caron, have observed that changing sea boundaries aren’t just a problem for islands: The rising ocean promises to redraw every coastline on the map. Instead of constantly updating maps every time a beach is submerged, they suggest, why not freeze the boundaries in place? For low-lying islands, this would mean that the sea as currently measured around Kiribati would become the permanent patrimony of its people—and wherever in exile they end up, the population would continue to receive royalties from its former coastal waters. 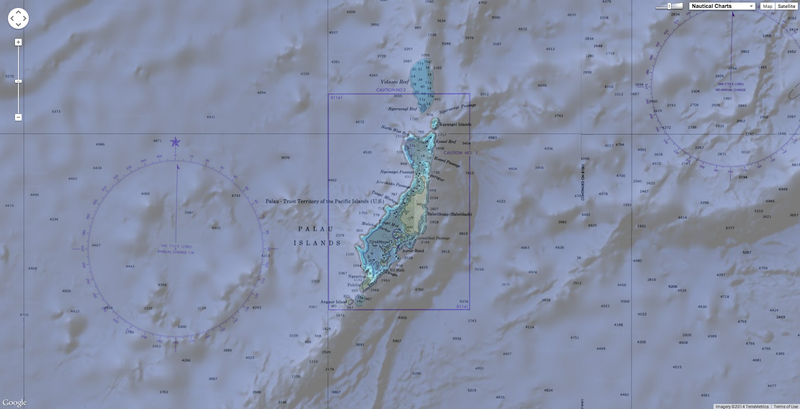 Rayfuse argues that the creation of such a category would enable island nations—even if they lost their land—to keep both their nationhood and their maritime zones, despite not having a piece of land to call home. Remarkably, such a landless state does exist today. The Knights of Malta (not to be confused with the country of Malta) are a 900-year-old lay Catholic order who today have no land, but do have a nonvoting seat at the United Nations. Their example, Rayfuse suggests, provides a seamless way to incorporate submerged nations into the international community. The main hitch to both of these plans—frozen baselines and deterritorialized states—is that they depend on international legislation, which is notoriously slow and unwieldy. The UN Law of the Sea’s amendment procedure, for instance, has never been used. Nor does it help that the island nations have little geopolitical clout. There’s a final strategy for these island nations to be able to keep their maritime zones, a strategy that doesn’t depend on sea walls or international legislation. 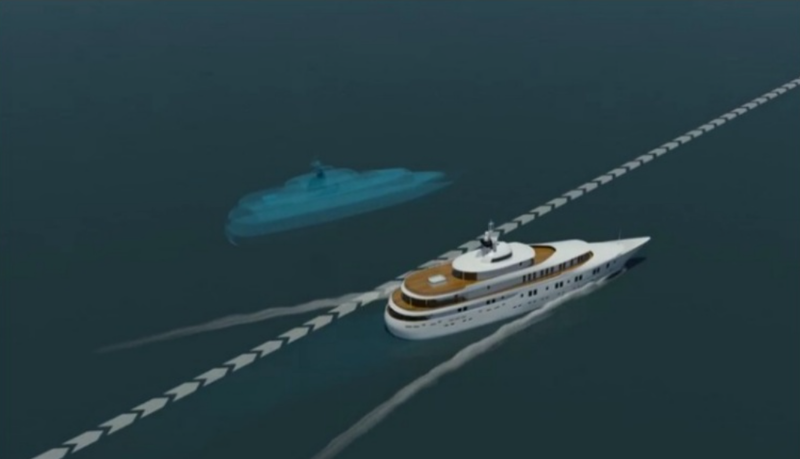 Rayfuse called it “the most straightforward and appealing solution” to the maritime zone dilemma. If each island nation can find a friendly neighboring nation willing to sell it some territory, it can move to that territory and continue to operate its preexisting maritime zones, so long as any part of the island is still above water. Kiribati’s president announced earlier this year that at Fiji’s invitation, his country had purchased land from the Anglican Church on Fiji’s second-largest island as part of an effort to migrate with dignity. 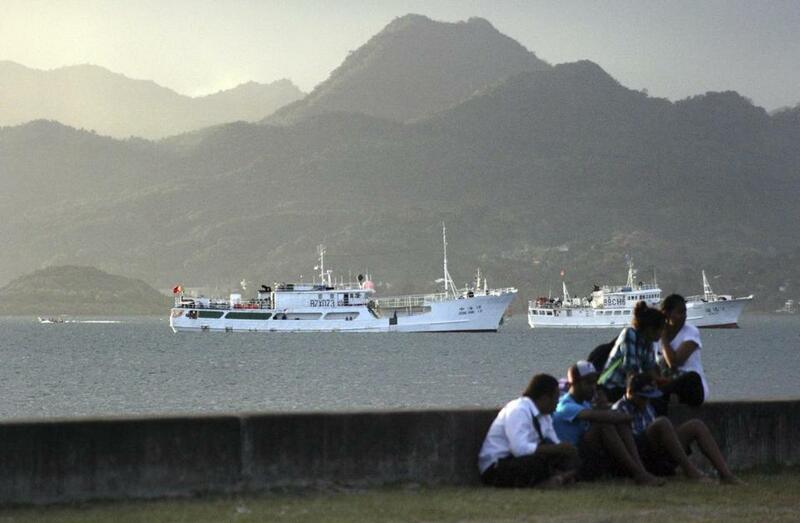 Residents sat on a wall facing the harbor of Fiji's capital of Suva. 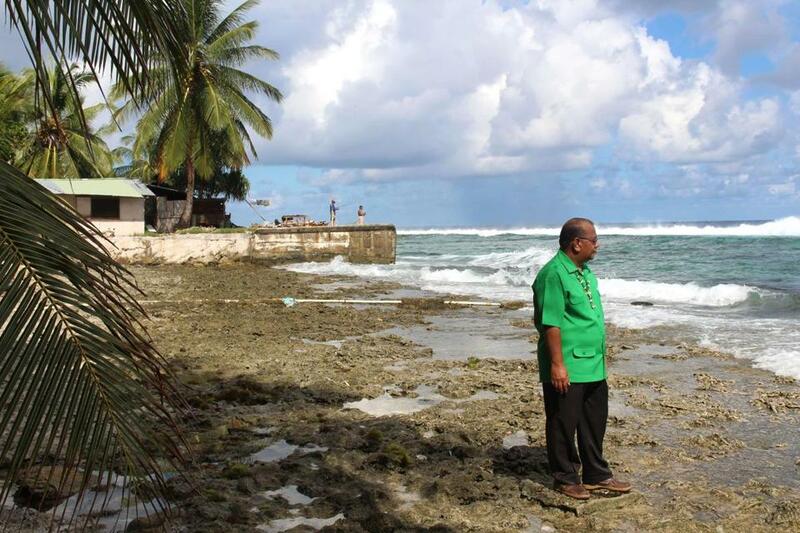 Kiribati's president has bought land to resettle his people on the nearby Fijian island of Vanua Levu. A major catch with this strategy is that few countries are willing to swallow whole another country, and those that are often want something for themselves out of the deal. In 2001, when Tuvalu approached Australia and New Zealand for some land, Australia rejected the deal out of hand. New Zealand agreed to host only those Tuvaluans who were under 45, spoke English, and had a job offer in New Zealand—requirements that excluded approximately 9,000 of the 11,000-person country. Even Kiribati’s recent land deal has come under suspicion; Atlantic reporter Christopher Pala visited the plot of Fijian land that Kiribati bought for $8.7 million, and found that the land was too small to feed or house Kiribati’s population, and that in fact, the land was already inhabited. If they cannot find deals on better terms, these island nations may have to merge with neighboring nations, using their valuable maritime rights as a bargaining chip. In effect, it would be a flat-out trade: asylum for control of the maritime zones. EACH OF THESE strategies—redefining “natural,” freezing maritime zones, creating deterritorialized states—amounts to a kind of thought experiment, a radical tweak to our idea of how fixed nations are and should be. It’s not clear when islanders will need to turn these thought experiments into real-world legal strategies. Some geoscientists project that coral reefs supporting atoll islands will grow along with rising seas, meaning that only those living close to shore will lose their homes; parts of the atolls may actually rise as other parts sink. Other researchers claim that regular flooding, food insecurity, and lack of fresh water will render the islands uninhabitable sooner rather than later. At the moment, the value of their maritime assets seems to be going up: The United States recently purchased its 2015 tuna fishing rights from a collective of Pacific island nations for $90 million dollars, up from the $21 million it paid in 2009. There’s also more than money at stake—by law, islands can use their control of the zones to enact environmental standards, though they are too small and resource-strapped to enforce them without help. For now, the island nations face the first and most basic step to securing their maritime zones: mapping them. To chart out existing ocean borders now would shore up their claims as their outlying islands become uninhabitable and their zones begin to shrink. Even this is far from trivial: An exact surveying effort involves extrapolating outer limits from base-point coordinates on shore, negotiating any overlaps with neighboring countries, and then formally depositing them with the United Nations in New York, a project beyond the technological and financial capacities of most island countries. Blaise Kuemlangan, who works for the United Nations’ Food and Agriculture Organization and encourages Pacific Island nations to map their boundaries, expects that—unless the countries themselves or the international community make a special effort now—mapping will not be completed for at least another 20 years. By then, these islands will most likely still be inhabited. But they’ll need, even more urgently, to understand exactly what they have to trade for their future. Yvan Bourgnon and his attempt to sail around the world in a beach cat. "My challenge is to realize the first circum navigation with a sailing boat without cabin, GPS, assistance and weather forecast."